Can One Bad Apple Ruin it for the Middle Men? 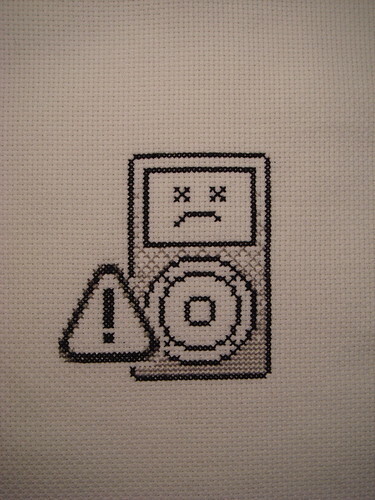 sad iPod, originally uploaded by benjibot. There are 474 words in Joe Hewitt’s call to action. Apple is not one of them. If anything, the omission speaks more loudly than a mention ever could have. For those that might argue that this is a bluff – a futile attempt to influence Apple’s behavior by boycott – two things argue against it. One, Hewitt acknowledges that his decision will make effectively no difference on the popularity of the platform for developers. Two, he’s right. If Android can avoid death by fragmentation, a Unix wars of its own making, it will be, in time, a credible alternative to the iPhone platform. Palm may be as well, if it can address its anemic hardware and its developer relations issues; certainly they have two of the best in the business in Ben Galbraith and Dion Almaer for the latter. RIM will remain strong within the enterprise, but I’ve seen little to convince me that they get the consumer. As for Nokia, my view is that their present, at least in terms of marketshare, looks much brighter than their future. Until one or more of the above can deliver a platform with the same polish and application volume that Apple has, however, they’re really just squabbling over second place. Not a close second. Apple seems to have figured this out in its iTunes store, which is succeeding wildly in spite of the fact that it’s governed by policies that are fundamentally broken at every level. Nor was that exactly a revelation at the time. That iTunes has succeeded is a testament to just how impressive the device was designed initially and the power of the Apple brand. Apple, for its part, doesn’t comment much on the application approval process. Perhaps believing, correctly, that in the face of the application store’s continued success, there’s no upside to a more candid stance. This is all too bad. Not because it impacts my choice as an Apple customer and iPhone user. 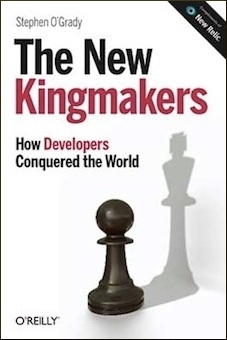 Not because it’s resulted in hundreds if not thousands of wasted hours from developers who find themselves indicted, like Josef K, for crimes that are never revealed to them. It’s a shame because it could, by proxy, leave marketplaces as collateral damage. Hewitt, to his credit, acknowledges that middle men can add value. And indeed they do, as I use them daily. As does anyone who uses apt, or Portage, or Yum. What is package management but a middle man, sitting in between me and the developer as it does. One of Apple’s stated objections to a more open marketplace is the stability of the device. Which, in Apple’s defense, is a more credible point than is commonly acknowledged. Many of us will experiment with laptops and servers in ways that we would not with a phone, given the differences in the relative importance and substitutability between them. But the perceived tension between a stable platform and less stringently vetted software need not exist. For all that it is a real problem, it is also a solved problem. Consider the Linux distributions’ approaches. Debian uses distributions, Ubuntu PPAs, Gentoo overlays overlays, and so on. Or, closer to home, there is the seriously relevant example of jailbroken iPhones. Which Apple, predictably, claimed were illegal. Is it so difficult to imagine a world in which Apple could officially enable jailbroken applications with the caveat that support ends the minute that takes place? It shouldn’t be, but probably is. The point here is as simple as it is obvious: Apple’s justifications are belied by the evidence, which indicates that the problem they are solving is in fact no problem at all. Which leaves their secretive and opaque application approval process as an artifact of their own culture of intense control, their codependent relationship with AT&T or a combination of the two. None of which consumers or developers should have to care about. Who’s actually in favor of the Permission Based Web? Ultimately, Hewitt and I might differ on the potential value add of middlemen, because I am a firm believer in the value of marketplaces and centralized distribution. Never more so than after using the package management-less OS X, in fact. But what we agree on, at least as far as I can tell, is that it would be a real shame if a bad Apple ruined the whole bunch because they were intent on preserving their monopoly on distribution. Interesting point .. “Many of us will experiment with laptops and servers in ways that we would not with a phone” holds true if you are using iPhone as a phone. I don’t – I keep the Nokia for phone, put a data sim in the iPhone and use it as a mobile Web device. How many more like me, who are willing to experiment more with the device like we do with our laptop/desktop/server?